Analytics tools can be powerful in just about any aspect of our lives. 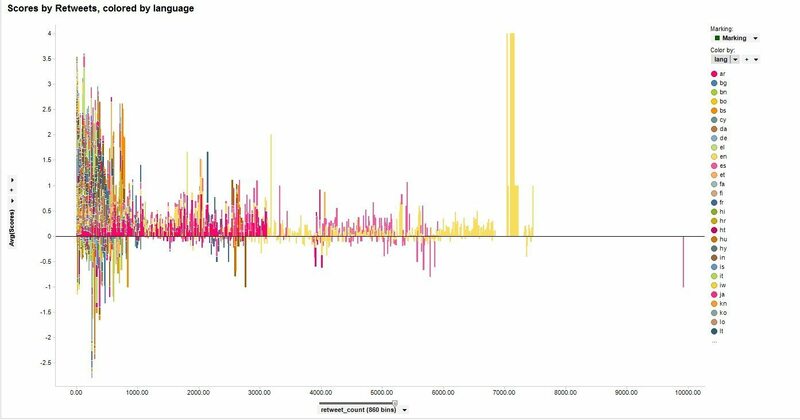 Read below about the use of Spotfire and Tableau by our summer interns (Sidhant Uthra & Ross Wilhite) in visualizing the sentiment of people engaging on Twitter during a World Cup game. 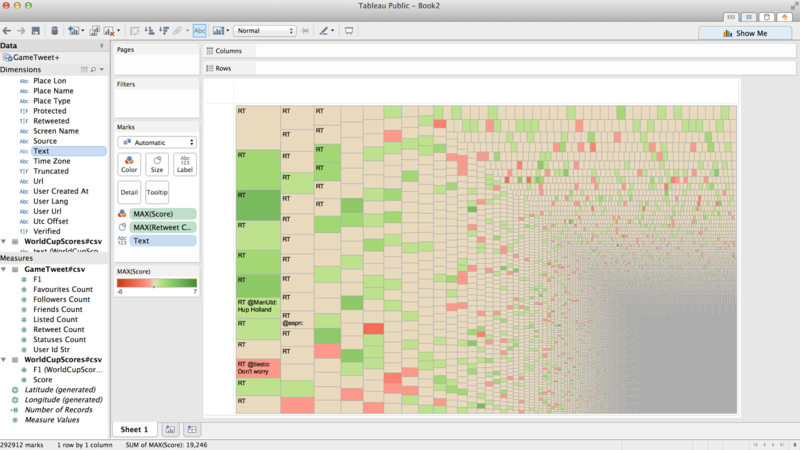 Tableau can visualize the data in a plethora of ways. A great example is the Tree Map as represented below. It can allow for the user to determine the most popular tweets and their sentiment. Moreover, it allows for the user to view the attributes of individual tweets as opposed to viewing a conglomeration of tweets in the form of a graphical representation of a country on a map. This visualization is created by combining the sentiment score, the retweet count, and the actual tweet text. Such a visualization could be useful to a company in order to determine why a certain negative tweet is popular and then diagnose and solve the more commonly occurring problem. This is a snapshot of Sentiment Analysis of Twitter data from the Brazil v. Netherlands game running on Tableau. Below is a bar chart that visualizes the same FIFA game of Brazil vs. Netherlands game running on TIBCO Spotfire, one of Syntelli’s partners. The horizontal direction measures the number of retweets and the vertical represents the score of the tweets that was captured during the sentiment analysis that we did of the tweets. The color represents the language of the tweet. Yellow is English, pink is Spanish, and blue is French, and the rest are irrelevant due to their rarity in the data. On the top graph, the score is represented by the average score for each amount of retweets.